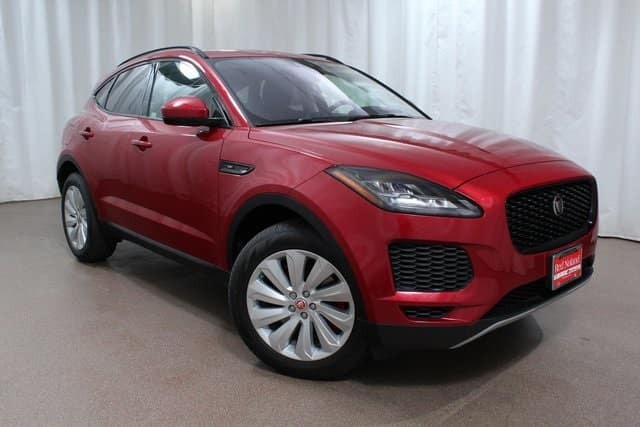 This is a great time to purchase your 2018 Jaguar E-PACE at Jaguar Colorado Springs. Qualified buyers can get 1.9% APR for 60 months plus $1000 Allowance Credit. This offer includes Dealer Handling but tax, title, and license fees are extra. Must have approved credit. Offer ends 8/31/2018. This luxury crossover SUV is filled with amazing features to provide you with a comfortable driving experience. The E-PACE comes standard with features such as LED headlights, 17″ Alloy wheels, heated door mirrors, and Touch™ Pro 10″ screen. Standard safety features include front and rear parking aid, rear camera, and Lane Keep Assist. Visit Jaguar Colorado Springs today and let us show you the Jaguar E-PACE. Take a test drive and try out the impressive features then let our finance experts tell you all about our Jaguar E-PACE special offer.